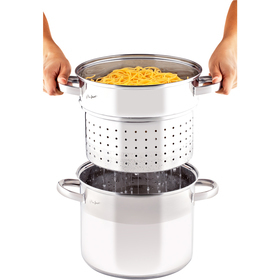 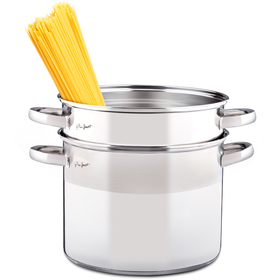 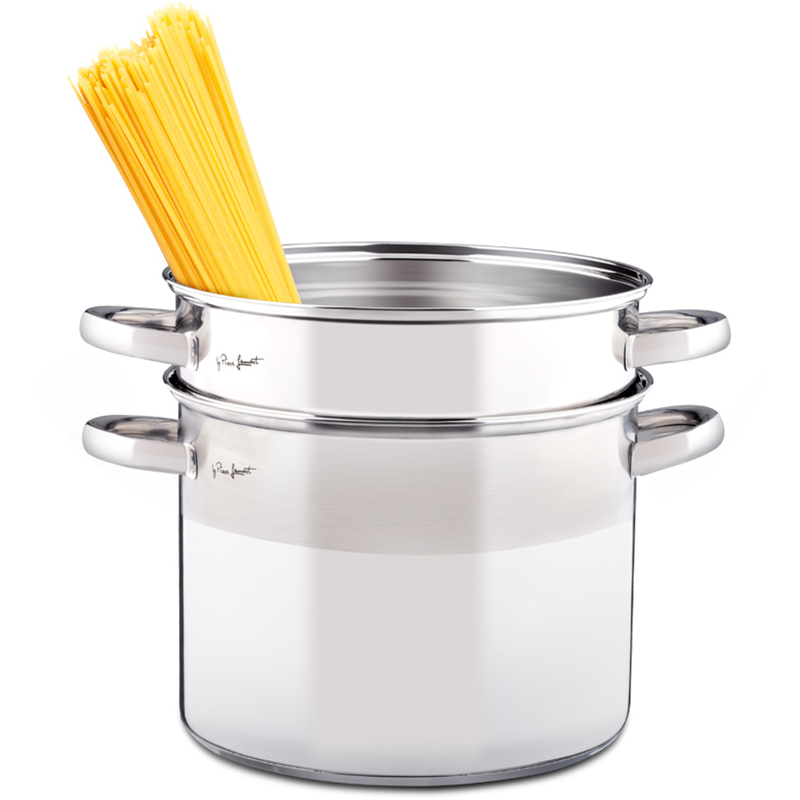 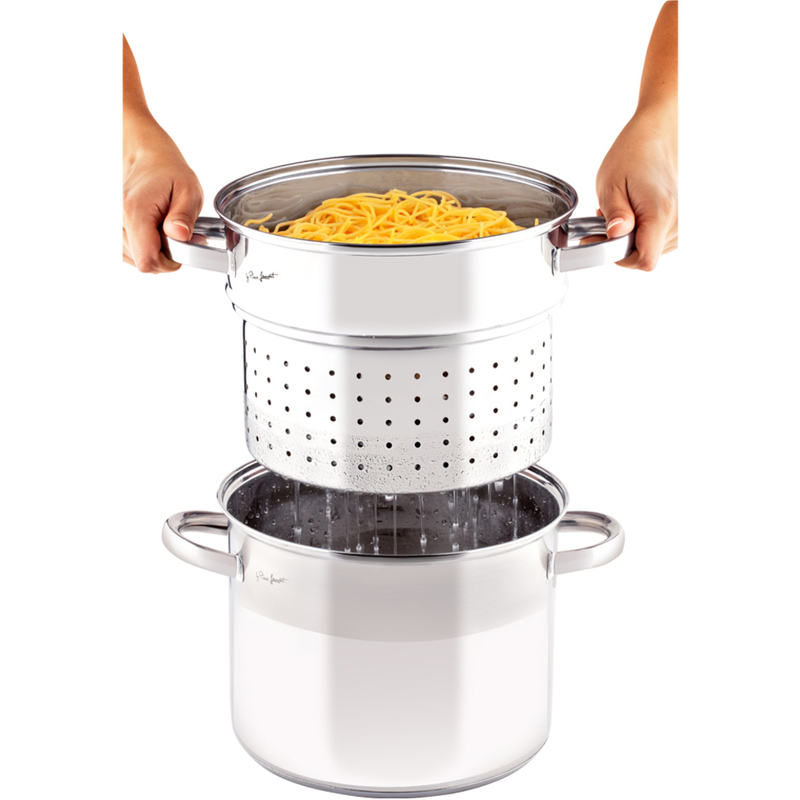 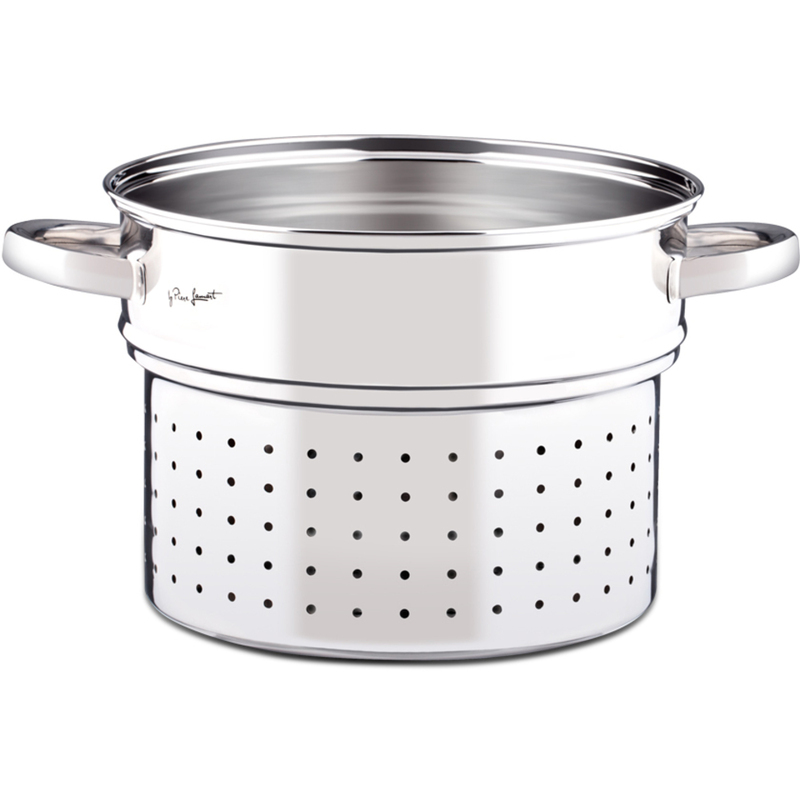 Pasta pot made from first-class stainless steel. 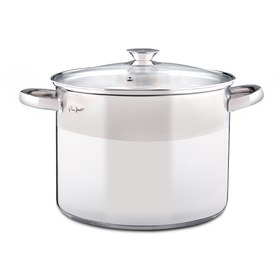 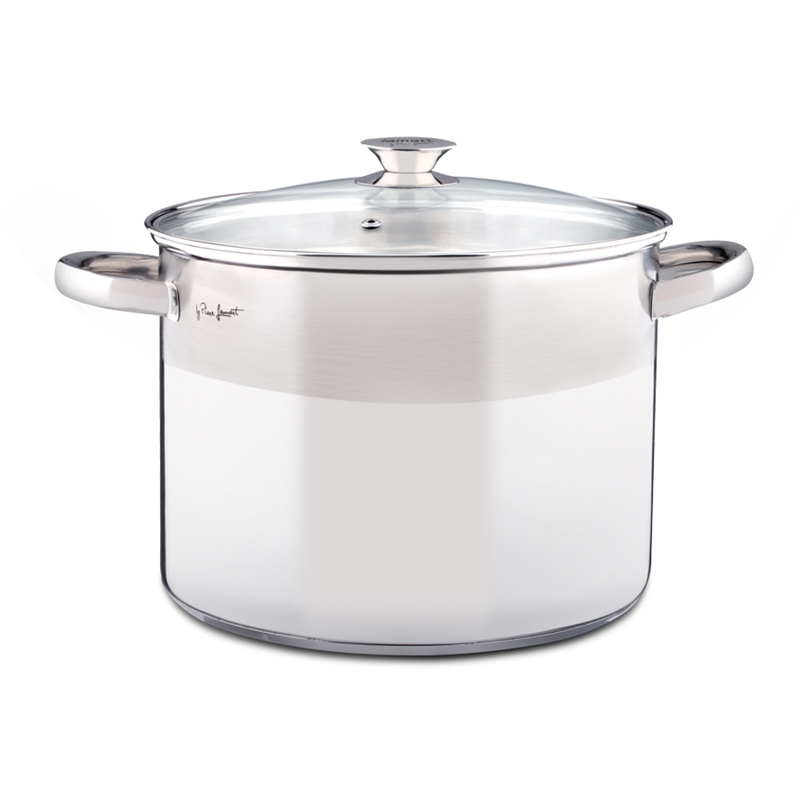 This pot from first-class 18/0 stainless steel has a thick sandwich base. 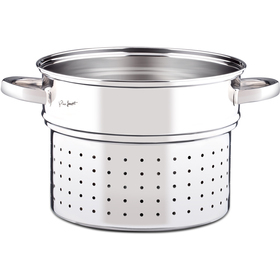 The inner pot made from 18/10 stainless steel serves as a steamer or strainer and has its own comfortable handles for independent handling.